I’m trying to replicate something I got a few years ago for practical use and I found every component except for this one. It says WL BD on the package and measures 2.58x1.53mm (LxW) and around 1.3mm tall. It has a line towards the 100 ohm resistor leading me to believe it is a diode. I measured the voltage with the diode function on my meter and found it to be 0.352V. 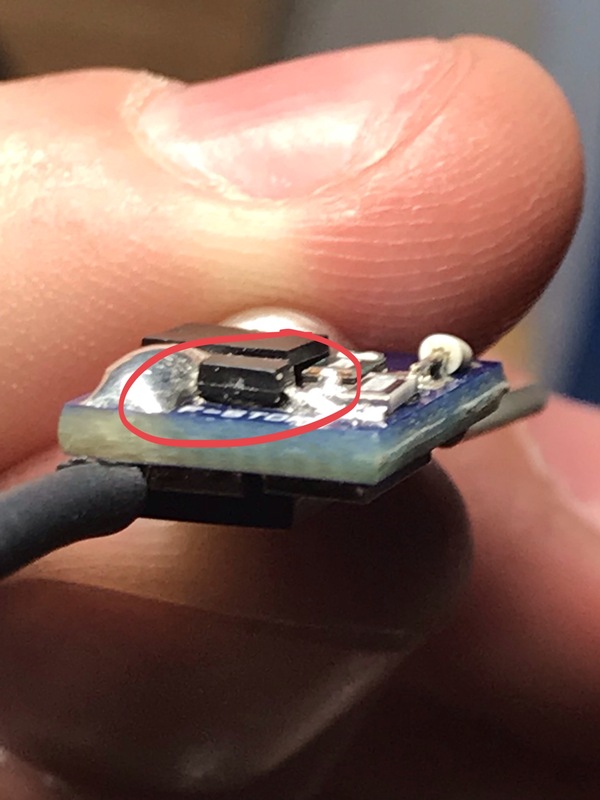 Any clue what component it could be? It will be some form of diode. Could be a Zener or TVS (transient suppression diode). 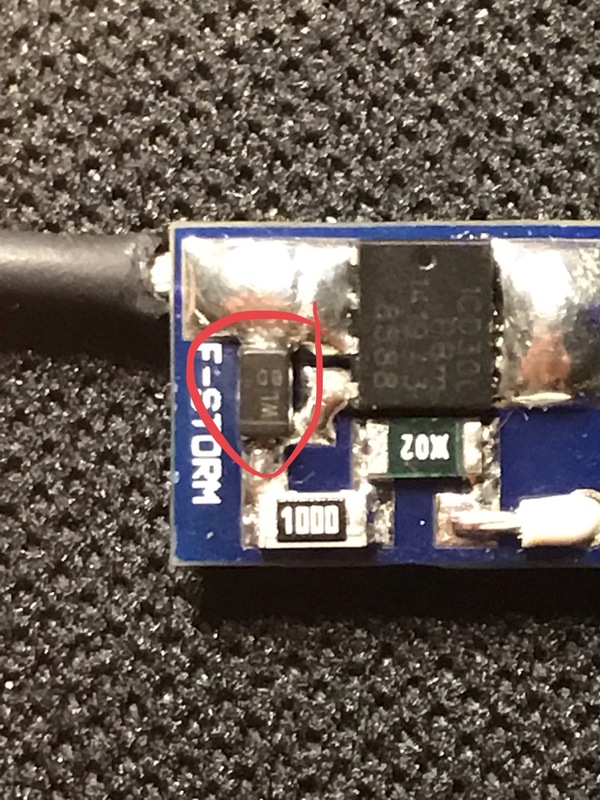 The very low forward voltage suggests a Schottky diode, however your measurements could be skewed by the rest of the circuit, plus no idea what current your measurement is passing through the diode. Measuring the reverse voltage would be interesting, but that would be risky. Zener is quite likely based on the circuit. Based on the dimensions, you have a SOD123 package (typically 1.55mm x 2.65mm). Decoding the marking is difficult without knowing more about the part. For example, BD could make it a 7.5V Zener diode (PDZ7.5BGW). Alternatively, WL could be a 15V Zener diode (BZT52C15). Notice the orientation of the markings. First you have the bar as expected. Then you have a two digit date code placed at a 90 degree angle. In your case BD which decodes as 2014 (B) December (D). Not the answer you're looking for? Browse other questions tagged diodes surface-mount or ask your own question.